+5 to your wedding party! We at Geekvites can appreciate the campy and the geeky. And we’re just all sorts of special, so we were more than pleased to hear that MIB3 still kept to the campiness which made the original so endearing back in 1997. Give that a listen, just for kicks. We’ll wait. Now just stop for a second. Isn’t that beautiful? You know what we got instead? You know what ISN’T beautiful? 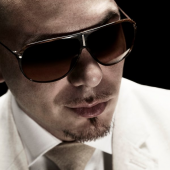 Pitbull. Yes. Some random international music…guy who had NOTHING TO DO WITH THE MOVIE sad face sad face upside down smile. We want to rectify this. We want our man Will Smith to deliver us from Pitbull. DELIVER US FROM PITBULL! What we’re asking from YOU is your support to fix this lack of Smithitude. 1. Will Smith is a geek. A geek that makes this look good. 2 . The Willenium is real and we’re living in it right now. Let’s revisit the MIB video again – what did this do? It made the movie more appealing mainstream. Will Smith is a talented artist. He makes catchy music. He makes great scifi flicks. Will Smith continues to bless the internet with weird things even today and he doesn’t even try; Woll Smoth, Tada, and more which are shamelessly ripped off and re-appropriated by unimaginative bloggers across the globe. 3. Will Smith is Always Available to Welcome You To Earth. 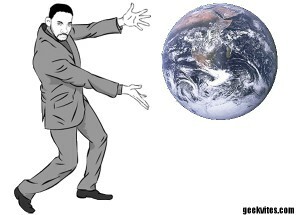 We ran out of ideas, so here’s a picture of Will Smith and the Earth. He welcomes you to it. We are shameless. We're sorry. We told you we were 'special'. This is how you save the Earth from aliens. The Will Smith Equation is a proven formula. Like Meow Mix. At best, we hope that this becomes the spark that lights a revolution leading to a full fledged romp of goodness for a DVD extra. At worst, we hope to get enough attention that Will Smith actually sees our sincere plea and decides to, I don’t know, rap about an unrelated non-Sony property about aliens on his MacBook while eating a bowl of cereal one morning for a couple minutes. Maybe they could even throw a pug in it. That’d be neat. Still a win. Any amount of rappin’ Will Smith is better than none which, we remind you, is our CURRENT STATE OF AFFAIRS. After going down this little walk down memory lane of Will Smith history (Willsmistory?) if you’re just a little bit sad, then join us in our Clarion Call for Will Smith to Make #newMIBraps! Tweet #newMIBraps with your own pleas for the intergalactic SUPERSTAR. Make people like the official MIB Twitter and Jada Pinkett Smith take notice! Nevermind. We won’t go there. JUST GO MAKE WILL SMITH RAP, INTERNET. Geekvites is the new kid on the wedding block, filling a great void for the lack of save the dates catered toward geeks and gamers. Something old, something new, something borrowed, something blue. TARDIS wedding invitations are very cool. Geekvites fills that void gamers, geeks and nerds looking for the perfect wedding invitations and save the dates need filled. The cards are nice enough that the non-geeky family and friends may not even notice, but those in the know will squeal with delight. …with invites in the style of Doctor Who, Back To The Future and Jules Verne, your geeky party is complete. It’s the perfect way to break the news to your parents that yes, there will be a TARDIS photo booth at your wedding and it will be awesome. …these invitations really make me wish a trip down the aisle was in my future. Geekvites © 2019. All Rights Reserved.